Southbound traffic is moving again after a crash near Preston forced police to close all lanes this morning. 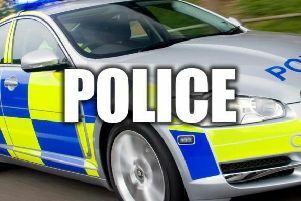 All traffic had been forced to a complete stop on the M6 after a crash between junctions 32 (Broughton) and 31a (Ribbleton) at around 9.55am. Highways England warned drivers of significant delays as the stricken vehicles awaited recovery. The vehicles and debris from the collision has now been cleared from the carriageway. The northbound carriageway was not affected and remained open. Ambulances have attended the scene, but it is not yet known whether anyone has been injured in the crash. Two vehicles are stranded in lanes 3 and 4 of the M6 at Broughton, Preston after a crash at 9.45am.